With major flood warnings in place for rivers and dams around Townsville, the floodgates to the city's dam were fully opened overnight. Below Australian experts comment. Dr Gabby Walters is a Senior Lecturer at The University of Queensland's Business School. She is an expert in tourism marketing communications, tourist behaviour and tourism crisis recovery. 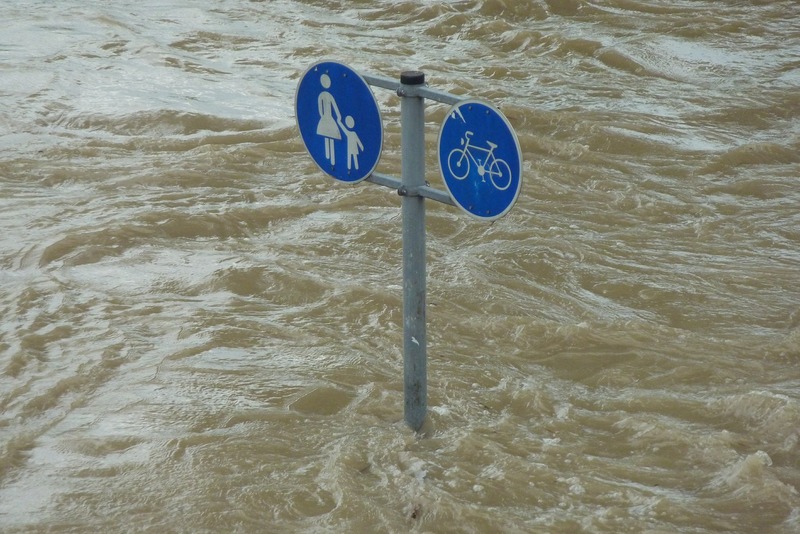 Flooding can have a significant impact on tourism, particularly when there is extensive media coverage of the devastation and destruction such disasters can leave behind. Destinations wanting to minimise the reputational damage and restore visitor numbers as soon as possible should consider the following 10 recommendations. 9. Do not attempt to market an affected destination before it is prepared and ready to receive visitors – media and recovery services and trades provide alternative market opportunities in the short term. 10. Ensure stakeholders remain consistent in their portrayal of events and the status of the destination when speaking with media – or ideally have one media spokesperson readily available for comment. A/Professor Linlin GE is the Leader of the Geoscience and Earth Observing Systems Group (GEOS) and Co-Director of the Laboratory for Imaging of the Mining Environment (LIME) at UNSW. We are providing this flood intelligence gained from satellites so that it can be used to make critical decisions about infrastructure such as switching off power substations before flood water reaches them. We know from research conducted this month that many people still think it is ok to drive or play in floodwater. Over half those surveyed had driven through floodwater previously (56%), and of those who had driven through floodwater, 58% had driven into floodwater more than once in the last five years. Nearly a third of those surveyed (30%) had played in floodwaters. Flooding is extremely dangerous, and this flood is unprecedented for Townsville. All residents of Townsville should follow the directions of the Queensland Fire and Emergency Services – it is never safe to enter floodwaters. What we are seeing in north Queensland reminds us again that, despite advances in technology, flood response is still very much done by people and a great many of these are volunteers from the community. Queensland has already born its fair share of extreme weather recently, with unprecedented bushfires, drought, heatwave, a cyclone, and now intense rainfall and flood. Across any given year our emergency services deal with floods, fires, cyclones and severe storms, plus other regular demands such as motor vehicle accidents and search and rescue. Our research shows that those human resources – both paid and volunteer - are now being stretched beyond normal with the severe weather seasons getting longer and more complex. The impacts are felt far more broadly too as most large scale hazards draw on resources well beyond their local areas. While these floods are battled in Townsville and throughout north Queensland, the fire fight continues in Tasmania with a multi-state response, other southern states are dealing with their own bushfires, and it was not too long ago that we had Australians in North America helping fight an extended fire season. With hazards seasons lengthening and overlapping across the globe, we need to change and think of new ways of dealing with bushfires, floods, cyclones and heatwaves. The old ways of sharing resources around Australia and with the northern hemisphere may not always be possible so we need to discover better ways to manage our people for the long term. Professor Elizabeth Mossop is Dean of the Faculty of Design Architecture and Building at University of Technology Sydney. She lived through Hurricane Katrina and its aftermath and was part of the rebuilding effort in New Orleans and the Gulf Coast. The aftermath is often worse than the flood and more difficult to recover from. Recalcitrant insurers after Hurricane Katrina compounded the pain and suffering of many victims, especially those not well-educated and well versed in bureaucratic games. Businesses (small ones especially) are often inadequately covered for loss of trade or loss of premises and this can often drive them out of business entirely. Medical problems are exacerbated by interrupted medication, stress, lack of access to adequate care or treatment, all of which can have long term effects. These services have to be designed to take flooding into account and to be resilient to disruption. Adequate preparation for the next flood should begin now. Use the repair and rebuilding process to address the next flood, don’t just put everything back the way it was. In areas where flooding will recur there are many excellent strategies to design out much of the impact. Houses and other buildings can be designed or retro-fitted to be more flood proof. Infrastructure like parks, parking lots and streets can all be designed to store and disperse water, protecting houses and more vulnerable facilities. In cities like Townsville and Brisbane we need to design for flooding in the way that cities like Perth already design for drought as a part of business as usual. Widespread flooding in North Queensland poses a significant risk to life as highlighted by rescues conducted by authorities. Risk Frontiers and Bushfire and Natural Hazards Cooperative Research Centre analysis has shown that floods are the second most deadly type of natural hazard in Australia, higher than bushfires and severe storms. Entering floodwater can be very dangerous. Flood deaths most often occur as a result of people making a decision to enter floodwater either in a vehicle or on foot. Our research has shown that driving through floodwater is an entrenched social behaviour and that though almost everyone believes that entering floodwater is dangerous almost everyone can identify a circumstance where they believe it is safe. Emergency services are right to discourage people from entering floodwater. The safety of floodwater can often be very difficult to judge, in particular the speed and depth of the water and what might be underneath. Making only a slight error of judgement can be the difference between life and death. 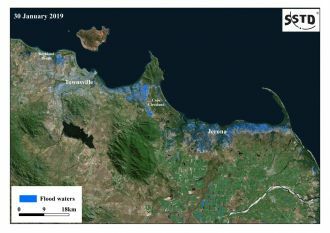 The need to spill waters from the Ross River dam in Townsville demonstrates the limits to using dams for flood control. Dams cannot control the biggest floods. Large flood return frequency is projected to worsen with climate change. In this light, the NSW Government needs to reconsider its proposed raising of the Warragamba Dam, purportedly for flood control in the Nepean River valley.